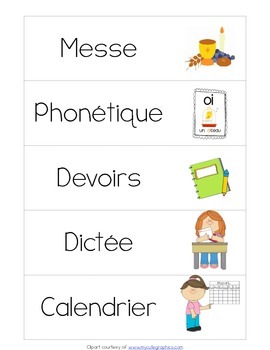 This is a set of 29 daily schedule cards in French (4-5 per page) to help your students organize their day. You can place these in a pocket chart or on your board. 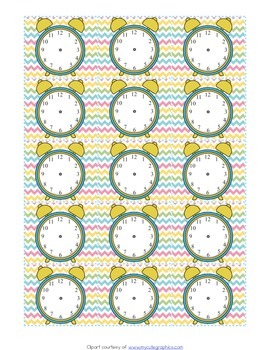 There are also analog clocks you can fill out with a dry erase or overhead washable marker.